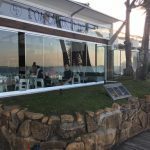 Coastal Glass and Glazing supply and install custom-made Glass Curtains for commercial and residential use on the Sunshine Coast. 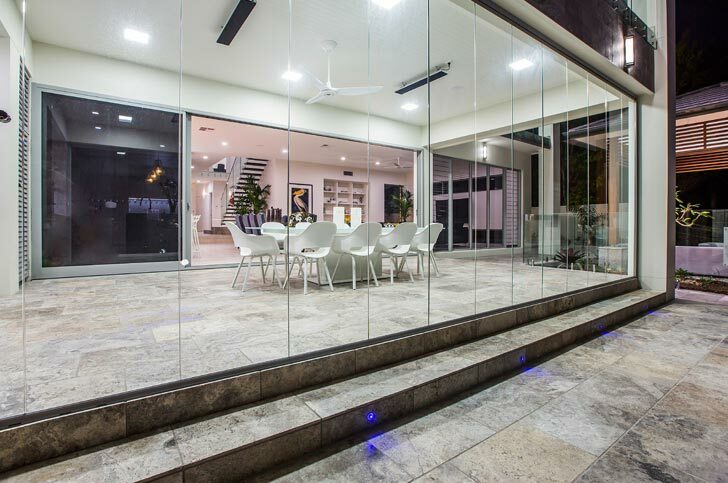 All the glass we fit is Australian-made and conforms to industry safety standards and our experienced team have been working in the industry for over 25 years. 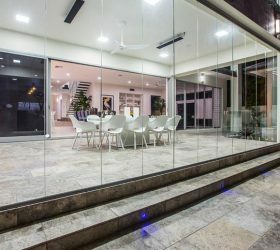 We carefully consider your needs and budget before we measure and install your glass to make sure you’re left satisfied. The beauty of Glass Curtains is their seamless operation; you’ll wonder how you lived without them before! They also pose a great alternative to bi-fold doors for entry between your balcony and living area, as they don’t have door frames that not only add cost, but can also obstruct your view. How do Glass Curtains work? Glass Curtains operate a little differently from standard curtains in that they act as more of a temporary window, allowing you to see the beautiful view from your balcony year-round with protection from the elements. 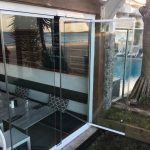 Slimline glass panels are inserted into anti-corrosive tracks placed on the top and bottom of your balcony edge, allowing you to move them effortlessly. 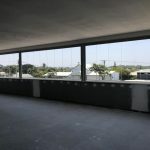 Your Glass Curtains will be custom-made and measured to fit your space precisely, be it for a balcony, entertainment area or window space; the possibilities are endless. If Glass Curtains sound like they’d be a perfect fit for you, please get in contact with us to organise a quote. Every service we perform includes a free inspection of all rollers, latches, tracks, springs and glass. This maintenance check is included with every service we perform, and we provide on-the-spot repairs for any problem found. One of our professional glaziers will come out and visit you in person before providing you with an obligation-free quote, tailored to fit your house, needs, and budget. We make sure to ask you all the relevant questions to fill in the blanks, as well as advising you of your options and making recommendations based on our professional experience. Get in touch for an initial consultation and free quote for our Glass Curtains. 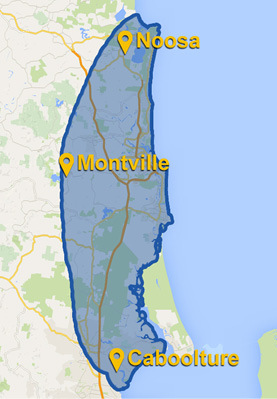 Phone us for an over-the-phone estimate today! Call 07 5452 6816 to discuss your glass needs and receive your free onsite measure and quote. 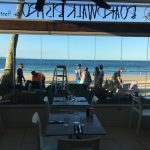 We install only the finest Australian-made glass when performing repair and replacement services. Each window and door is perfectly fitted to withstand the strongest elements with guaranteed workmanship. Our shower screen styles range from standard pivot to stylish frameless, metallic mirrored to decorative glass and graphic design. Choose from laminated or toughened safety glass. 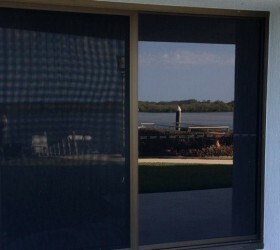 Protect your home and family from outside intruders with mesh fly screens, aluminium and stainless steel security doors manufactured from industry-leading materials that meet Australian standards. 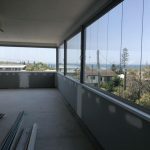 Extend the look and feel of your home and bring the outdoors in with a balcony balustrade or patio enclosure of Australian-made glass installed with guaranteed workmanship. 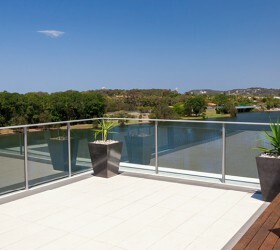 Create a sophisticated oasis that protects your view as well as your kids with Australian-made glass pool fencing that meets your budget and industry standards. 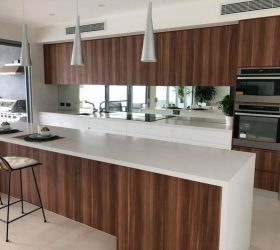 Install a glass splashback that reflects your unique style and personality. Create space and enhance natural light with coloured glass, decorative artistry and graphic design options. 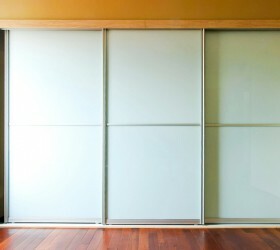 Add dimension to any room in your house with wardrobe doors and mirrors. 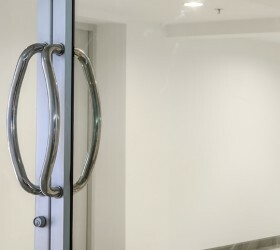 Fully framed and frameless designs accommodate any size door configuration and tracking system. 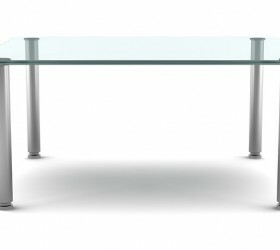 Rejuvenate your favourite table with a glass table top glazed to match your existing frame or protect timber surfaces with safety glass. Our seamless, fully retractable Glass Curtains will transform your balcony, enabling you to enjoy unrestricted views and extend your living area while also being able to close it off when It is cold, rainy or windy. Call 07 5452 6816 for immediate assistance. Present your brand and protect your assets with quality glass designed to withstand the elements and everyday wear-and-tear. 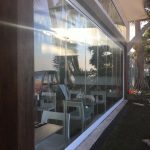 Our commercial glass services include interior cabinets, showcase sliders, shopfront glass and decorative and graphic designs, high-rise glazing and more. High-rise window maintenance and glazing requires precision and a thorough understanding of materials required. It’s important you engage a professional with the experience and knowledge to handle the job safely and efficiently. Our workmanship is guaranteed and our reputation solid. © 2019	Coastal Glass And Glazing. Website Designed & Developed by Insight Digital Marketing.